Goalies improve their skills, consistency, self-confidence, gain a competitive edge and have fun in positive learning environment. Weekend clinics at the Schwan Super Rink (Blaine), Eagan Civic Arena, Braemar Arena (Edina), Richfield Arena, and TRIA Rink in St. Paul. 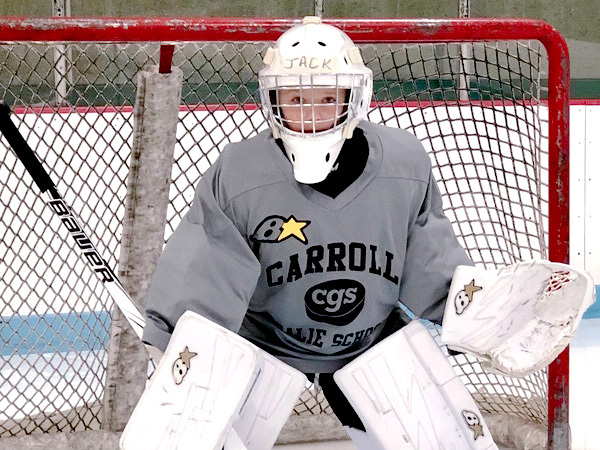 Maximize your goalie’s development with customized one-on-one private lessons designed to meet their specific needs. Our dedicated staff of expert coaches make the Carroll Goalie School special and separates us from other goalie development programs. The coaches at CGS have more than 60 years of combined experience helping boys and girls, at all levels, achieve success between the pipes. “You could see a big improvement in my son’s skills from the first day to the third day – he got better. The encouragement I thought was big and the kids were always moving, always improving. 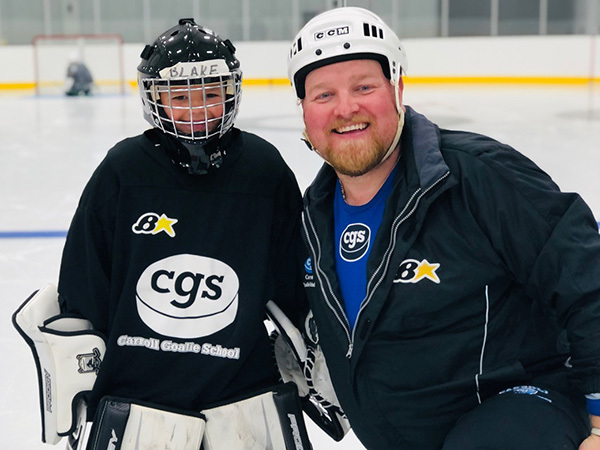 Parent of CGS participant – Edina, Minn.